The following is a list of self-declared socialist states—that is to say, past and present states that have declared themselves socialist or in the process of building socialism. Self-identification is the only criterion used by the list. Therefore, all countries that claimed to be socialist are included, even if their claims are disputed. All countries that did not claim to be socialist are excluded, even in cases where those countries were considered socialist by certain outside observers. In addition, this list includes countries that are dictatorships, but state in their constitutions that they are based on socialism. As a result, this list is best understood as a list of countries that explicitly claim to be socialist, and does not reflect the actual state itself. 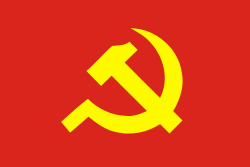 The majority of self-declared socialist countries have been Marxist–Leninist states following the model of the Soviet Union or a variant of People's democracy. They share a common definition of "socialism" and they refer to themselves as socialist states on the road to communism. 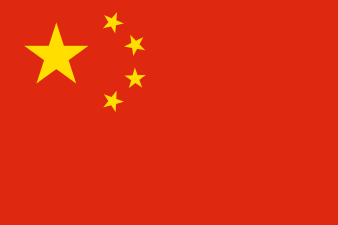 For this reason, they are generally, albeit erroneously, called "communist states". Meanwhile, the countries in the Non-Marxist–Leninist category represent a wide variety of different interpretations of the word "socialism." In many cases, they do not define what they mean by it . A sovereign state is a different entity from the political party that rules that state at any given time. Thus, a country may be ruled by a socialist political party but without the country itself claiming to be socialist. This has occurred in both one-party and multi-party political systems. In particular, there are numerous cases of democratic socialist political parties winning elections in liberal democratic states and ruling for a number of terms until a different party wins the elections. 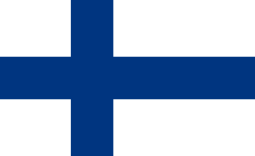 For example, the Swedish Social Democratic Party has won most elections in Sweden since 1945, but the country never adopted socialism as its official ideology. This article does not list countries that do not have constitutional references to socialism, even in cases where those countries happen to be governed by socialist parties for a certain period of time. 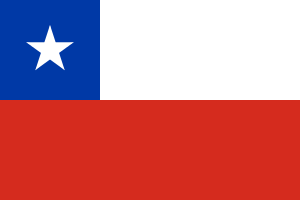 On the other hand, countries that do maintain constitutional references to socialism are always listed, even when those countries are ruled by non-socialist political parties. 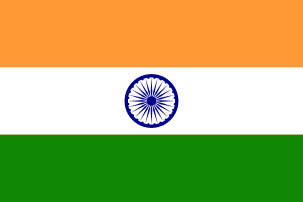 For example, India is a liberal democracy. that has been ruled by non-socialist parties on many occasions, but it is listed here because the Indian constitution makes references to socialism..
Afghanistan Democratic Republic of Afghanistan 27 April 1978 30 November 1987 7,008,302,767,200,000,000♠9 years, 217 days Preamble: "In the present stage, the People's Democratic Party of Afghanistan, as the initiator and coordinator of the policy of National Reconciliation, actively carries forward together with other political, national and democratic forces this humanitarian policy." 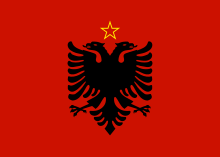 Albania Democratic Government of Albania 29 November 1944 11 January 1946 7,007,352,728,000,000,000♠1 year, 43 days Section 1, Article 1: "The People's Socialist Republic of Albania is a state of the dictatorship of the proletariat, which expresses and defends the interests of all the working people. 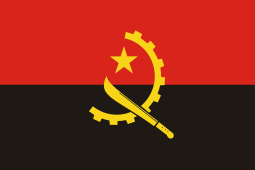 Angola People's Republic of Angola 11 November 1975 27 August 1992 7,008,529,977,600,000,000♠16 years, 290 days Section 1, Article 2: "All sovergenity is vested in the Angolan people. The MPLA, their legitimate representative constituted from a broad front including all patriotic forces engaged in the anti-imperialist struggle, is responsible for the political, economic, and social leadership of the nation." 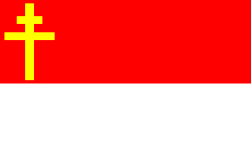 Belarus / Byelorussian SSR Byelorussian Soviet Socialist Republic 31 July 1920 25 August 1991 7,009,223,875,360,000,000♠70 years, 344 days Section 1, Article 1: ""The Byelorussian Soviet Socialist Republic is a socialist state expressing the will and interests of the workers, peasants and intelligentsia, the working people of all nationalities of the republic." 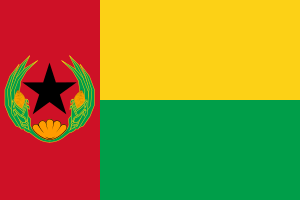 Benin People's Republic of Benin 30 November 1975 1 March 1990 7,008,449,668,800,000,000♠14 years, 91 days Legally a socialist state. Bulgaria People's Republic of Bulgaria 15 September 1946 7 December 1990 7,009,139,570,560,000,000♠44 years, 83 days Section 1, Article 1: ""The People's Republic of Bulgaria is a socialist state of the working people from town and village, headed by the working class." 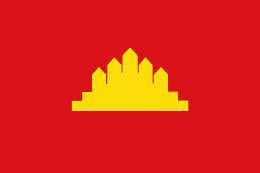 Cambodia Democratic Kampuchea 17 April 1975 10 January 1979 7,008,117,828,000,000,000♠3 years, 268 days Legally a socialist state from 1979 to 1989, ruled by a communist party from 1975 to 1989. Congo-Brazzaville People's Republic of the Congo 3 January 1970 15 March 1992 7,008,700,488,000,000,000♠22 years, 72 days Presidential oath: "I swear allegiance to the Congolese people, to the Revolution and to the Congolese Labor Party. 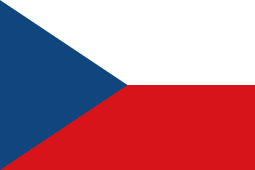 I shall undertake, while guided by Marxist–Leninist principles, [...] to devote all my strength to the triumph of the proletarian ideals"
Czechoslovakia Czechoslovak Republic 9 June 1948 11 July 1960 7,008,381,456,000,000,000♠12 years, 32 days Section 1, Article 1: "The Czechoslovak Socialist Republic is a socialist state founded on the firm alliance of the workers, farmers and intelligentsia, with the working class as its head." 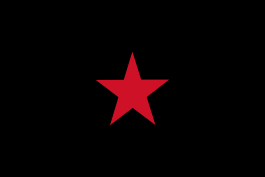 Ethiopia Provisional Military Government of Socialist Ethiopia 28 June 1974 22 February 1987 7,008,399,340,800,000,000♠12 years, 239 days Country declared Marxist–Leninist in 1974, the Workers' Party of Ethiopia becoming "the formulator of the country's development process and the leading force of the state and in society" in 1987. 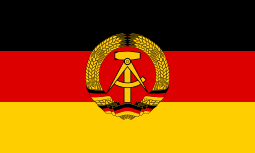 East Germany German Democratic Republic 7 October 1949 3 October 1990 7,009,129,349,440,000,000♠40 years, 361 days Section 1, Article 1: "The German Democratic Republic is a socialist state of workers and peasants. 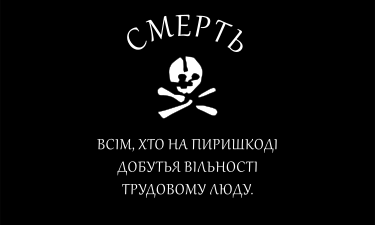 It is the political organization of the working people of town and country under the leadership of the working class and its Marxist–Leninist party." Hungary Hungarian People's Republic 20 August 1949 23 October 1989 7,009,126,783,360,000,000♠40 years, 64 days Section 1, Article 2: "The Hungarian People's Republic is a socialist state." 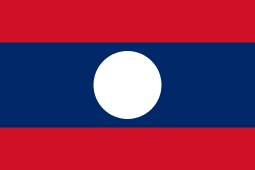 North Korea Democratic People's Republic of Korea 9 September 1948 19 February 1992 7,009,137,106,000,000,000♠43 years, 163 days Section 1, Article 1: The Democratic People's Republic of Korea is an independent socialist state representing the interests of all the Korean people." 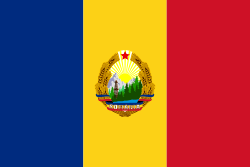 Mongolia Mongolian People's Republic 24 November 1924 12 February 1992 7,009,212,127,120,000,000♠67 years, 80 days Section 1, Article 2: "The Mongolian People's Republic is state which exists and is developing in the form of people's democracy." 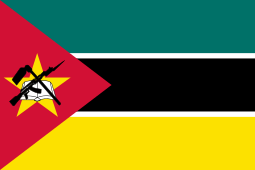 Mozambique People's Republic of Mozambique 25 June 1975 1 December 1990 7,008,487,101,600,000,000♠15 years, 159 days Section 1, Article 2: "Power belongs to the workers and peasants united and led by FRELIMO and organs of people's power." Poland Polish People's Republic 28 June 1945 30 December 1989 7,009,140,451,840,000,000♠44 years, 185 days Section 1, Article 1: "The Polish People's Republic is a socialist state." Romania Romanian People's Republic 30 December 1947 21 August 1965 7,008,556,696,800,000,000♠17 years, 234 days Section 1, Article 3: "The leading force of society in the Socialist Republic of Romania is the Romanian Communist Party." 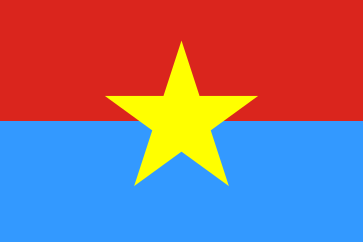 Somalia Somali Democratic Republic 21 October 1969 26 January 1991 7,008,671,090,400,000,000♠21 years, 97 days Section 1, Article 1: "The Somali Democratic Republic is a socialist state led by the working class, and is an integral part of the Arab and African entities." 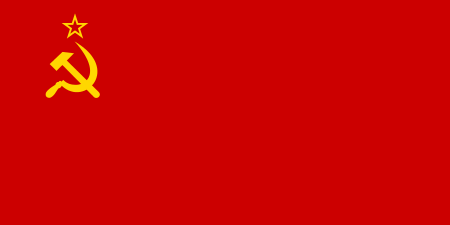 Russia / Soviet Union Russian Soviet Federative Socialist Republic 9 November 1917 30 December 1922 7,008,162,194,400,000,000♠5 years, 51 days Section 1, Article 1: "The Union of Soviet Socialist Republics is a socialist state of the whole people, expressing the will and interests of the workers, peasants, and intelligentsia, the working people of all the nations and nationalities of the country." Ukraine / Ukrainian SSR Ukrainian Soviet Socialist Republic 10 March 1919 24 August 1991 7,009,228,657,600,000,000♠72 years, 167 days Section 1, Article 1: ""The Ukrainian Soviet Socialist Republic is the whole people state that expresses the will and interests of the workers, peasants and intellectuals, workers of the republic of all nationalities. 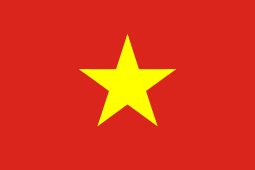 North Vietnam Democratic Republic of Vietnam 2 September 1945 2 July 1976 7,008,972,993,600,000,000♠30 years, 304 days Section 2, Article 9: "The Democratic Republic of Vietnam is advancing step by step from people's democracy to socialism by developing and transforming the national economy along socialist lines, transforming its backward economy into a socialist economy with modern industry and agriculture and an advanced science and technology." South Yemen People's Republic of South Yemen 30 November 1967 1 December 1970 7,007,947,592,000,000,000♠3 years, 1 day Section 1, Article 3: "The Yemeni Socialist Party, armed with the Scientific Socialism theory, is the leader and guide of society and state." Yugoslavia Democratic Federal Yugoslavia 29 November 1943 29 November 1945 7,007,631,152,000,000,000♠2 years, 0 days Section 1, Article 2: "The socialist system in Yugoslavia is based on relations between people acting as free and equal producers and creators, whose work serves exclusively to satisfy their personal and common needs." 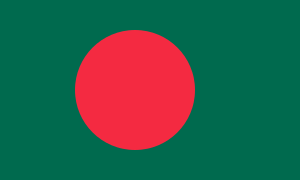 People's Republic of Bangladesh 11 April 1971 7,009,144,056,880,000,000♠45 years, 237 days Multi-party system Preamble: "Further pledging that it shall be a fundamental aim of the State to realise through the democratic process, a socialist society free from exploitation, a society in which the rule of law, fundamental human rights and freedoms, equality and justice, political, economic and social, will be secured for all citizens;"
Co-operative Republic of Guyana 6 October 1980 7,009,114,117,120,000,000♠36 years, 59 days Multi-party system Preamble: "Convinced that the organisation of the State and society on socialist principles is the only means of ensuring social and economic justice for all of the people of Guyana; and, therefore, being motivated and guided by the principles of socialism"
Republic of India 18 December 1976  7,009,126,115,920,000,000♠39 years, 352 days Multi-party system Preamble: "We, the people of India, having solemnly resolved to constitute India into a Sovereign Socialist Secular Democratic Republic and to secure to all its citizens:"
One-party system Preamble: "The Democratic People's Republic of Korea is the socialist motherland of Juche, which has applied the idea and leadership of Kim Il-sung." 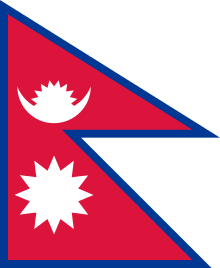 Federal Democratic Republic of Nepal 20 September 2015 7,007,380,376,000,000,000♠1 year, 75 days Multi-party system Section 1, Article 4: "Nepal is an independent, indivisible, sovereign, secular, inclusive democratic, socialism-oriented federal democratic republican state". 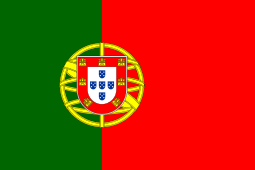 Portuguese Republic 2 April 1976 7,009,128,355,840,000,000♠40 years, 246 days Multi-party system Preamble: "The Constituent Assembly affirms the Portuguese people's decision to (...) open up a path towards a socialist society"
Democratic Socialist Republic of Sri Lanka 7 September 1978 7,009,120,679,200,000,000♠38 years, 88 days Multi-party system Preamble: "[...] to constitute Sri Lanka into a democratic socialist republic whilst ratifying the immutable republican principles of representative democracy, and assuring to all peoples freedom, equality, justice, fundamental human rights and the independence of the judiciary"
United Republic of Tanzania 26 April 1964 7,009,166,017,600,000,000♠52 years, 222 days Multi-party system Section 1, Article 3: "The United Republic is a democratic, secular and socialist state which adheres to multi-party democracy". Algeria People's Democratic Republic of Algeria 8 September 1963 23 February 1989 7,008,827,064,000,000,000♠26 years, 76 days Preamble: "the democratic and popular Algerian Republic will direct its activities toward the construction of the country in accordance with the principles of socialism"
Burma Union of Burma 2 March 1962 3 January 1974 7,008,373,658,400,000,000♠11 years, 307 days Chapter XVI General Provisions: "In order to overcome this deterioration and to build Socialism, the Revolutionary Council of the Union of Burma assumed responsibility as a historical mission, adopted the Burmese Way to Socialism, and also formed the Burma Socialist Programme Party." Egypt Republic of Egypt 22 July 1957 22 February 1958 7,007,185,760,000,000,000♠215 days Preamble: "The Arab Republic of Egypt is a democratic, socialist state based on the alliance of the working forces of the people." Iraq Iraqi Republic 17 July 1968 9 April 2003 7,009,109,594,080,000,000♠34 years, 266 days Chapter 1, Article 1: "Its [the country's] basic objective is the realization of one Arab State and the build-up of the socialist system." Libya Libyan Arab Republic 1 September 1969 2 March 1977 7,008,236,628,000,000,000♠7 years, 182 days Section 1, Article 6: "The aim of the state is the realization of socialism through the application of social justice which forbids any form of exploitation." 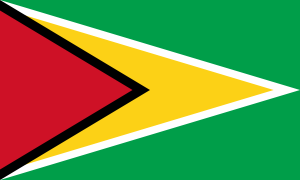 Seychelles Republic of Seychelles 5 June 1977 27 December 1991 7,008,459,518,400,000,000♠14 years, 205 days Preamble: "Seychelles is declared to be a sovereign socialist republic,"
Sudan Democratic Republic of the Sudan 8 May 1973 10 October 1985 7,008,392,083,200,000,000♠12 years, 155 days Preamble: "In the belief of our pursuit of freedom, socialism and democracy to achieve the society of sufficiency, justice and equality,"
Syria Syrian Arab Republic 8 March 1963 27 February 2012 7,009,154,552,320,000,000♠48 years, 356 days Section 1, Article 8: "The leading party in the society and the state is the Socialist Arab Ba'ath Party. It leads a patriotic and progressive front seeking to unify the resources of the people's masses and place them at the service of the Arab nation's goals." 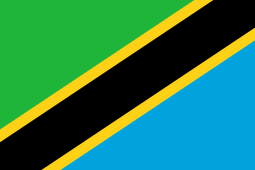 These are territories which have claimed independence, declared themselves socialist under some interpretation of the term, and created stable institutions of governance that have lasted for a considerable period of time, but which are not recognized as independent states by the international community. According to international law, these territories belong to other states. 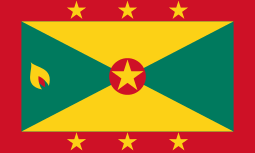 These are short-lived political entities that emerged during wars or revolutions (mostly in the aftermath of World War I) and declared themselves socialist under some interpretation of the term, but did not survive long enough to create a stable government or achieve international recognition. ↑ In 1992 all references to Marxism–Leninism in the DPRK constitution were dropped and replaced with Juche. It still is, officially at least, a socialist state.